I grew up on the music of Emerson, Lake & Palmer. When I was in high school, appreciation of ELP’s music was one of the few things that gave me any sort of connection with my fellow students. And my love of that music has continued. I had the honor and pleasure of interviewing Greg Lake in 2012, and then saw him in concert a few months later. In 2014, I saw Keith Emerson in what would turn out to be one of his final performances; tagging along with him and his crew for much of the following day, I got the chance to conduct a brief interview with the virtuoso keyboardist. I haven’t yet seen Carl Palmer in concert. But in 2016 I did “complete the set” and sit for an extensive interview with him. The ostensible reason for this particular interview was the reissue of three expanded-version ELP albums and a 3CD anthology. But we talked about much more. Here’s an edited transcript of that conversation. Bill Kopp: The new mixes of the first album and Tarkus were done in 2012. Can you tell me how ELP came to work with Steven Wilson? I mean, it was great music to start off with so, literally, all you could do is make it better or ruin it. Or just produce something which is pretty much the same as the original. But we thought we’d give it a go. When [the first one] came back, we were … ok with it. It wasn’t … it didn’t light us up. It was good; there’s no doubt about that. But as I said, it was good anyway, so this was just a different good, if you see what I mean. So we decided we’d have another go, and that’s how it worked, really. We were very casual about it. BK: One of the things that is often noted about Steven Wilson’s remixes is that he brings out things that were sometimes kind of buried in the original mixes. As you’ve listened to the new mixes, have you heard anything that you hadn’t heard in the original mixes? CP: You’ve only got so many tracks, anyway. So, when he goes to mix it, he’s not going to have more tracks available. Whatever was there in the first place, that’s what’s available to him. What’s he got is more refinery to play with; there’s more outboard gear, and you can “mature” the sounds. The EQs are a lot more sophisticated, the distribution spanned across the stereo is a lot better. With ProTools, you can even correct some stuff. When you mix something in ten years’ time, it’s going to be better than something that you mix today – if you know what you’re doing – because you’re going to have more permutations at your fingertips to play around with. So that’s what he had. Yes, there were some things which sounded better. Some things … I kind of lived with them for so many years the wrong way, [so] it was hard to change. I was on both sides of the fence, really. As I said, I didn’t get overexcited; I just could appreciate what was being done. BK: I understand that King Crimson‘s Jakko Jakszyk took over the task of doing the remasters of the other albums going forward. Do you know when we might see new releases of those? CP: I was not involved with that at all, to tell you the truth. I wanted to do it at BMG; we had a great relationship with them. We always have over many, many years. We will just see, you know, what happens and how that progresses and just take it from there, really. Most record companies, now, when they get a catalog that’s been strong as what ELP’s has been over the years, everyone is always looking at how can we improve it. Obviously, technology is better today than yesterday; what can we do? There are certain names that if you immediately add to Emerson Lake & Palmer – like, say, Steven Wilson – start to bring in a different audience. Maybe younger prog fans start to listen to it. So you’ve got to understand there’s an area of commerce here which gets crossed as well. There’s a reason for doing things. Obviously we’re keen on the sound being good, and if it’s a different way of mixing it on that day, then that’s fine. As long as it’s not any worse than what we’ve got, if it’s better, or if it’s slightly different, or a different version of a good version, then we’re up for it. We will all carry on going ’round with this, I would imagine, and see where we get with it. 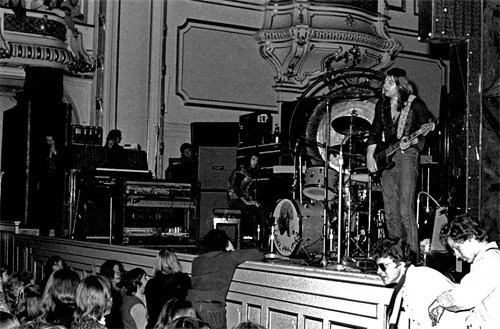 BK: Here’s a question to take you back to the earliest days of Emerson Lake & Palmer. How did the guys in Atomic Rooster take the news when you told them you were leaving to form ELP? 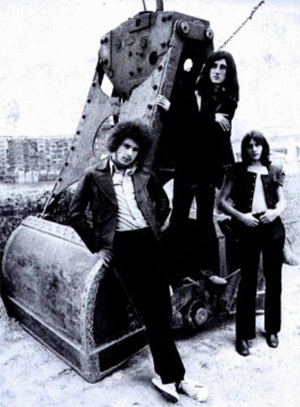 CP: It was a little bit sad, because I had just finished up recording with Atomic Rooster; we had recorded a single, “Tomorrow Night.” “Tomorrow Night” was the only number one single that Atomic Rooster had, so I had to dub the demo which was now going to be turned into a master and I suddenly jumped ship, as it were. Obviously, you know, when the guy kind of leading the band decides to leave, because I had formed Atomic Rooster, it gets a little bit knotty. The situation was very, very simple. I said to Vincent Crane, “Look, I’m going to do this. You will need to re-record those tracks that I’ve done, and I wish you well, but I’m going to do this.” And I had decided, once I’d spoken to Ahmet Ertegun from Atlantic Records. I was managed by Robert Stigwood at the time, and Keith and Greg were being managed by EG, so it meant that ELP had three managers. It was quite a complicated sort of setup. But Vincent took it as a great friend as he always was, God bless him, and I moved over. And that was it. But, six months down the road, I was sitting in rehearsals, and Atomic Rooster were number one and I was still rehearsing with Greg and Keith. So I thought I’d made a terrible mistake.